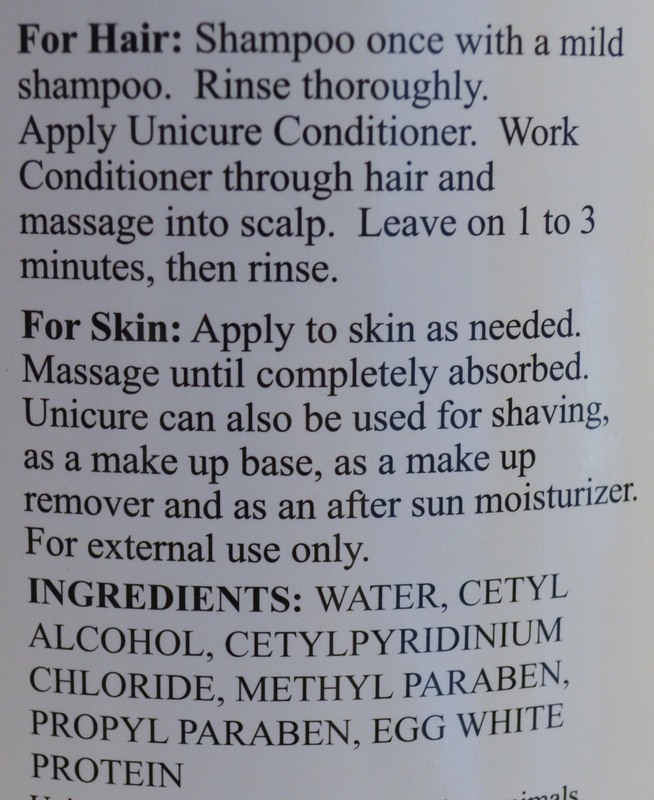 Unicure Conditioner should be left on the hair for one to three minutes. Then rinse well. For badly damaged hair leave the conditioner on longer for better results. It can be left on without rinsing. Today's people are showering more frequently every day which can leave the hair dried out and unmanageable. What is really needed is less shampooing. Much Less! Shampooing can strip hair of its' natural oils, leaving it dry and damaged. If you do wash your hair frequently, use our Unicure Hair & Skin Conditioner as many times a day as you wish without shampooing first. Don't worry, there won't be any build-up! After Shampooing: Always rinse thoroughly then apply ample amount of the conditioner and work thoroughly through the hair and massage it into the scalp. This infuses (feeds) protein into the hair shaft and locks the cuticle, preventing the loss of essential cortex components, also leaving a thin flexible film on the outside of each hair strand which causes "Static Electricity" to disappear while strengthening and protecting the hair against dryness and spray deposits.